Lucia Heffernan believes laughter is the best medicine. Inspired by her love of animals, she creates whimsical, humorous and distinctive works of art in oil. Her imaginative works feature everything from monocled high-society ostriches to rabbits driving carrot cars and trench coat-wearing hound dog private eyes. By placing animals in uniquely human situations, Lucia paints a playful world where animals do everything we do. Like many artists, Lucia began as a representational artist focused on capturing her subjects true to life, down to the finest whisker. Having developed a strong technical foundation, Lucia has evolved her style to incorporate a narrative. 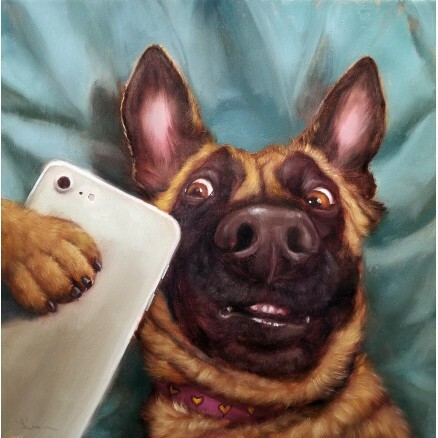 She wants the viewer to recognize and relate to the subjects and situations of her work as snapshots of daily life, portrayed by animals. Her work stands out because the animals in her work remain representational, instead of illustrative, creating the illusion that animals can, in fact, do human things. Born in Taiwan, Lucia learned to paint and draw from her mother, a watercolor artist and teacher. After graduating with honors from Binghamton University in Fine Arts and Design, she established LDD, a multi-million dollar award-winning design agency, at the start of the Internet boom. In 2000, Lucia moved to Utah, where her creative focus shifted from digital design to oil painting. She has won numerous local and national competitions and her work is widely collected throughout the western US. 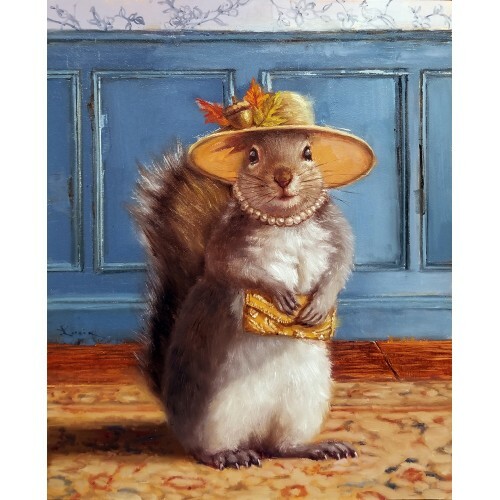 She is a member of Oil Painters of America and the Society of Animal Artists.